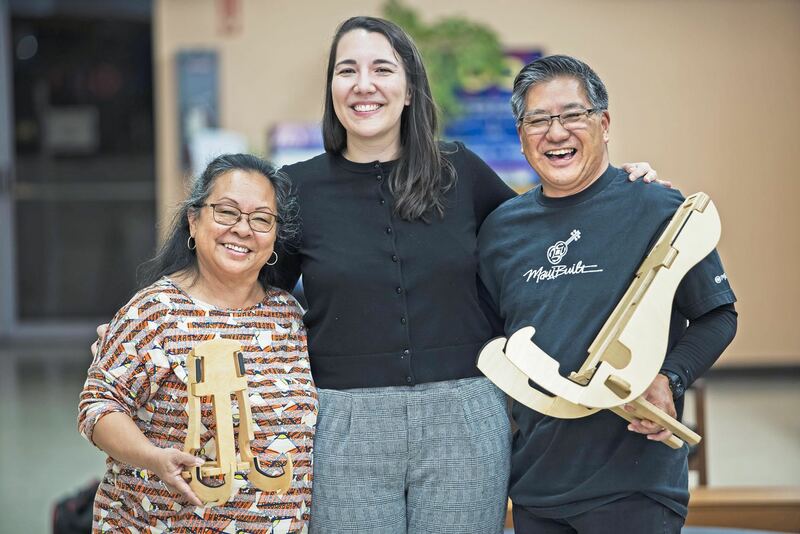 This is Part Two of the Nikkei Entrepreneur Spotlight on Carol and Keith Kimura, co-owners of CKDream in Gardena, the company behind K-Stand, a collapsible instrument stand. Rafu printed the first half of their story on Saturday, March 9. (Re)introducing entrepreneurs Carol and Keith Kimura, co-owners of CKDream: this mature, married couple blossoms with energy as the demand for their product nearly exceeds pace of production. First-time inventors and business creators, these are two individuals who have achieved the goals impressed upon their generation by working their way up the ladder at large companies; and who are now also achieving the goals of their children’s generation, turning their personal passion into a business. From Hawaii to the South Bay, from children to grandchildren, from art to aerospace and finally to each other, their debut product, the K-Stand, is built on a lifetime of experience. The aerospace industry flourished in the South Bay during the ’70s and ’80s, and like many in the area both found work in the array of companies there, Keith for 15 years at Rockwell Collins, Hughes Aircraft and McDonnell Douglas, and Carol for over 20 years at TRW and Northrop. They also shared in common a connection to a local church, Gardena Valley Baptist, but the two would not meet until many years later. 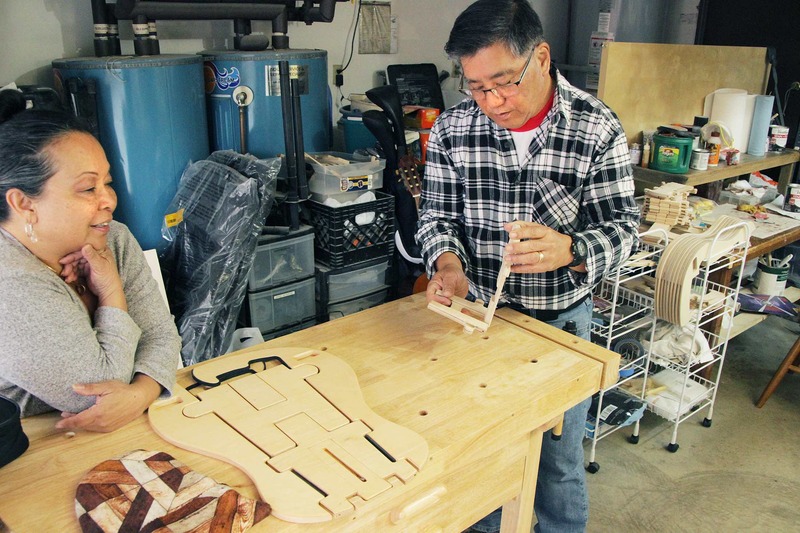 Growing up first in Carson and then Gardena, Keith Kimura, designer of the K-Stand, gained experience early on with building and modifying things. Before the construction of a university and shopping plaza, the many open fields near his neighborhood were perfect for dirt bike riding, which motivated his group of friends to search for motorcycle parts at swap meets to modify bikes for off-road use, a homemade precursor to BMX dirt bikes. He often disassembled toys to figure out how they worked, once removing a mechanical skeleton arm from a haunted house coin bank and re-attaching it to a toy car to make the car move by the hand grabbing the floor. “My parents didn’t mind that I took stuff apart; they just minded that I left a mess, which I usually did,” he laughed. Despite the trail of toy parts he left behind him, one project so impressed his mother that she couldn’t help but compliment his efforts. “My mom was amazed when I took building blocks and built a three-foot-tall tower with a path inside for a marble to be dropped and come out the bottom,” he recalled proudly. It wasn’t just his hobbies that honed his abilities either. In fact, as early as age nine he recalls swinging a hammer after being put to work by his father to help his uncles and cousins complete the second story of an unfinished model home they had just moved into. His father was a typewriter repairman for the City of Los Angeles while his mother worked as an accountant for American Honda and the Federal Aviation Administration. Both his parents were born and raised in Maui, Hawaii. He has one older sister and two younger brothers, and recalled that being the eldest boy in a Japanese American family, he felt pressure to set a good example. When his father forbade him to play football, he accepted the reason given that he was more needed at home, and he even hid a high school gymnastics career from his parents until he made league finals. 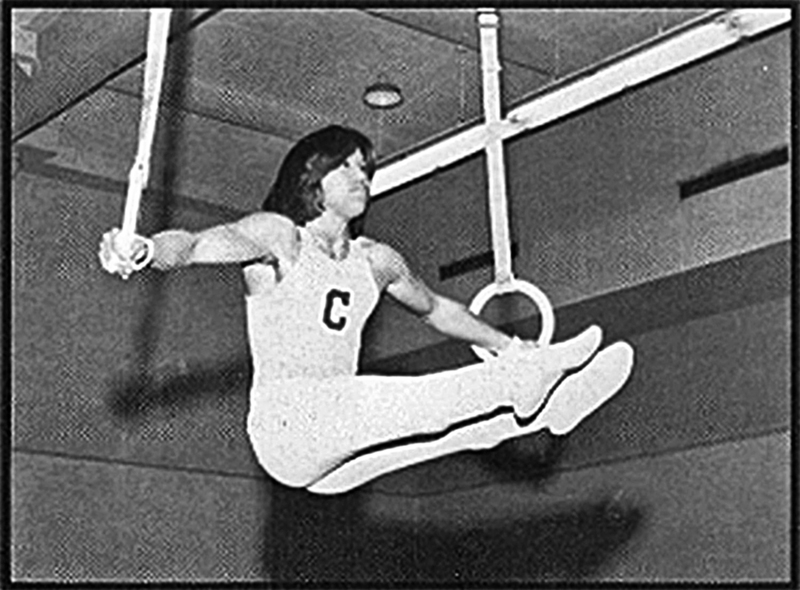 His parents ultimately agreed to attend the championship, where he went on to place fifth out of 20 elite competitors. After graduating from Carson High School, he pursued studies in graphic design at Los Angeles Trade Technical College. However what should have been an exciting start to a degree that would make his parents proud became a painful turning point instead. Feeling pressure to do well in school, not making it into the upper half of his class at L.A. Trade Tech made him so frustrated that he abruptly left the program. Upset with himself for falling short of his standards, he convinced himself that the difficulties he had encountered were due solely to a lack of talent. Passionate about graphic design to this day, the pain of giving up on his dream, coupled with the shock from his parents, was a stressful event for the family. Leaving his parents’ home at just 18 and moving in with friends in Carson, he took on work in a toy factory to make ends meet. From studying art to working on a factory assembly line, Keith was far from where he thought he’d be and feeling even more discouraged. Luckily, however, a chance suggestion from a high school friend about a job opening in a machine shop started his career in the aerospace industry. It was at this shop that he learned about industrial machines and found it was something he enjoyed. Later on he went back to graphic design, studying on his own and doing everything from CD packaging for local artists to company logos. He also worked in the contract furniture industry, teaching himself computer design and doing large projects like the Skechers headquarters in Manhattan Beach. His current position as the operations assistant manager for the golf course at the Terranea Resort in Ranchos Palos Verdes is actually the line of work he least expected to ever be in, not just because he didn’t like golf when he first tried it at 28, but because as an engineer and then a designer, he had never worked with the public. However, all of the experiences seem to add up perfectly to finally starting his own business. Not only did he find that the resort’s high standards gave him the ideal learning opportunity for customer service, but that he could do it well. Also, he’s now been an avid golf player for 20 years. “It really built confidence in me to work with clients. I’m so surprised I stayed in golf and learned to do customer service,” he said. The last missing piece to being able to create the K-Stand and start CKDream, of course, was Carol. By the time they met at an area church one day where Carol happened to be a Sunday school teacher, they had both lived full lives of many experiences. Keith had not even attended Gardena Baptist Church since childhood, and was only there because of a vow to himself to be that good example he had found confining many years before. Though he had found his way successfully through several careers, later on in life he developed a drug addiction to cocaine and methamphetamines. It wasn’t until he found himself living in a motel and thinking of his grandchildren and son that he was able to turn his life around. “I knew that I didn’t want to be a grandparent my grandchildren and son would be ashamed of,” he said. He quit cold turkey and returning to his childhood church turned out to be the final puzzle piece. He and Carol have been together ever since. They even joked at the beginning of their marriage what they would call a company if they had one together, coming up with “CKDream” and even creating a logo. They had no idea what their imagined company would do or what steps they would ever take to have a company, yet here they are today, “full circle,” as they both put it. 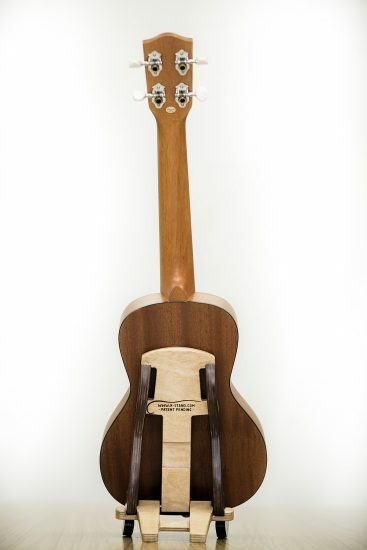 Carol Kimura, formerly Lendio, first came to the South Bay at 19 after growing up in the small town of Waialua, Oahu. A self-described “country girl,” she admired her father, a construction worker, and mother, a homemaker, for sending her to Saint Francis Convent School, where she joined extracurriculars like the Nurses and First Aid clubs, hoping to go into a career in the healthcare industry. After moving in with family in South Bay and starting her studies at El Camino College in Torrance, she married and left school to raise a family. Many years later she returned to her education when she went back to school to get an associate’s degree and certificate for pre-K, working full-time for four years before leaving to spend time with her grandchildren, then returning part-time to education, where she works currently in the role of “runner” at a local school, giving teachers their morning breaks. She has also been a Sunday school teacher at Gardena Valley Baptist for over 20 years. However, motherhood and teaching aren’t her only talents. She fondly recalls the many nights she danced to R&B music at clubs before settling down and how people would compliment her dancing. “I fall in love with the music and we’re one,” she said with a huge smile. 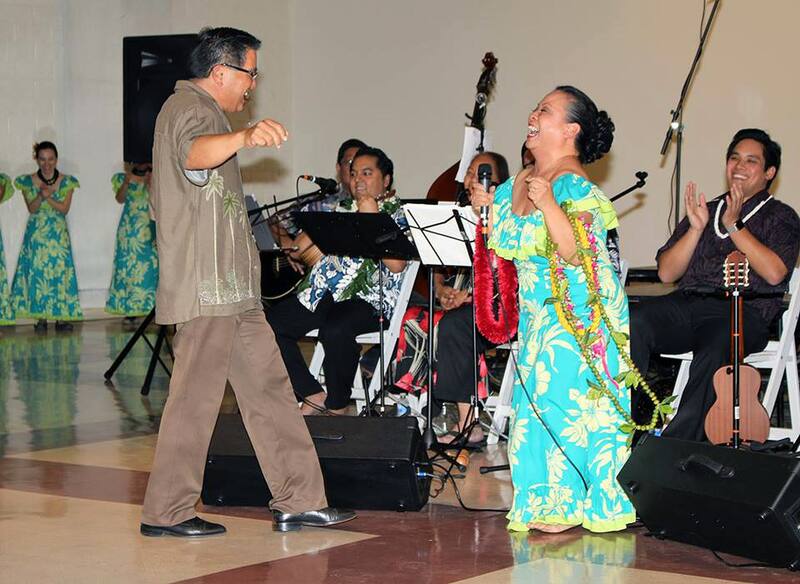 Amidst a busy schedule of children, marriage and career, she didn’t have time for her musical side until her fifties, when she began studying hula and became part of the Kaulana Ka Hale Kula ‘O Na Pua ‘O Ka ‘Aina dance group, with whom she won third place one year at a hula competition. In addition to her dedication to family, dance and teaching, Carol worked for over three decades in aerospace, starting out in administration as a warehouse clerk, then moving to the role of production planner and then inventory analyst. Her extensive experience from this career keeping track of tiny parts like bolts and chips in large warehouses fits well into CKDream’s work; she’s at ease in their garage, where she’s surrounded by tools, stored parts and stacks of K-Stand components awaiting assembly and delivery. You can check out the K-Stand in person at the Heritage of Aloha Festival on Saturday and Sunday, May 18-19, in Santa Fe Springs. To place an order online and sign up for K-Stand’s updates on the launch of their upcoming Kickstarter project, visit their website at www.k-stand.com. Follow them on Instagram at https://www.instagram.com/kstand2019. Keith and Carol Kimura are two-time graduates of the Entrepreneur Training Program (ETP) organized by the Little Tokyo Service Center (LTSC) Small Business Assistance Program and made possible with the support of the Asian Pacific Islander Small Business Program (API-SBP), Small Business Administration (SBA) and Gardena Valley Japanese Cultural Institute (GVJCI). These workshop training series cover a variety training topics for any entrepreneurs planning to launch their own small business. LTSC offers these 24-hour trainings three times a year in both English and Japanese around Los Angeles County.